The president deleted several tweets endorsing Luther Strange for the Republican nomination in Alabama's special primary election after the appointed incumbent lost by a landslide. 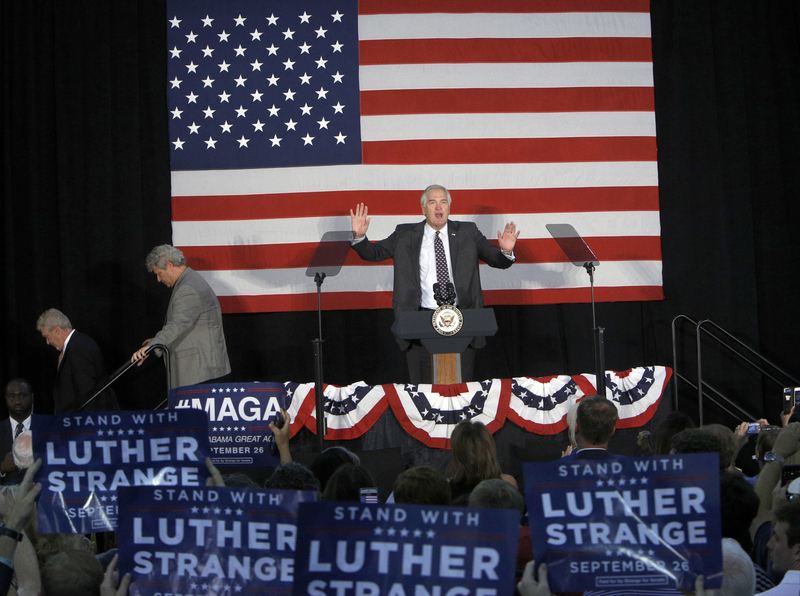 On Tuesday night, President Donald Trump deleted four tweets encouraging people in Alabama to vote for Luther Strange, the Republican Senate candidate who ended up losing the state's special election primary runoff. The tweets were saved by Politwoops, a ProPublica project that archives politicians' tweets. 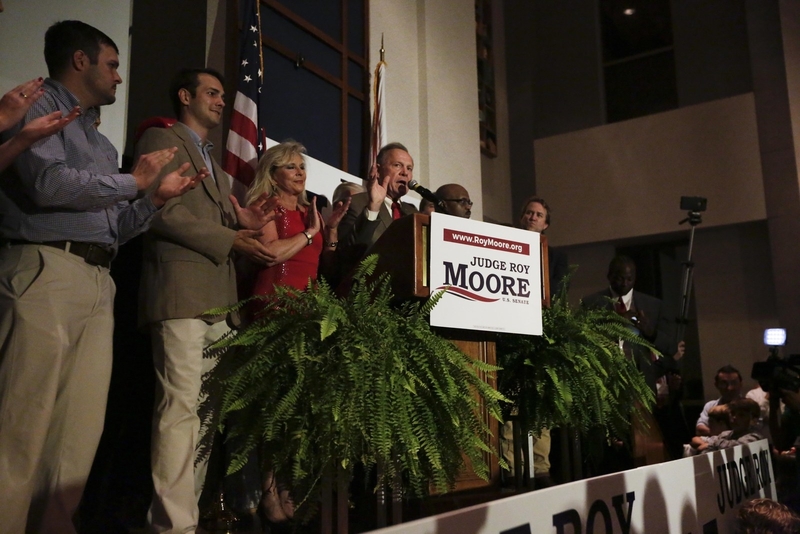 The Republican runoff in Alabama has been closely watched, as the winner will now vie for the seat formerly held by Attorney General Jeff Sessions. The contest pitted Trump's chosen candidate, appointed Sen. Luther Strange, against former state Supreme Court justice, Roy Moore, who had garnered support from the Breitbart universe, including former White House strategist Steve Bannon. Despite Trump's endorsement, and his appearance at a rally in Alabama last week, Strange came up short. As predicted, he lost Tuesday night's election to Moore, who will now go on to face Democrat Doug Jones, a former US Attorney, in the general election. Before voting started, Trump tweeted about the race and told his followers to vote for Strange. After Moore won, Trump deleted the tweet. He also tweeted, incorrectly, that Strange had been "shooting up in Alabama polls since my endorsement." He deleted that tweet too. He tweeted, and deleted, a call for Alabama to "get out and vote for Luther Strange — he has proven to me that he will never let you down!" After Moore won, the president tweeted his congratulations and urged the former judge to "WIN in Nov! "—although the general election will actually take place in December. Trump deleted this tweet too. Less than 20 minutes later, he shared a similar tweet, with the correct month of the election. Congratulations to Roy Moore on his Republican Primary win in Alabama. Luther Strange started way back &amp; ran a good race. Roy, WIN in Dec! BuzzFeed News reached out to the White House for comment on why the tweets regarding Strange were deleted, but did not immediately hear back.